The five-piece band recently announced a partnership with Nerf (Hasbro, Inc.), where their heavy-hitting song “Turn It Up” is being used in a national television advertising campaign in addition to being the theme song for Nerf’s newly-launched webseries, The NERF Nation Show, hosted by internet personality Zack King. Watch the webseries here. The Wrecks snuck into a recording studio near Thousand Oaks, CA to record their self-produced and self-released debut single, “Favorite Liar,” in 2016. The song quickly gained the attention of SiriusXM Alt Nation, where “Favorite Liar” catapulted up the chart. It’s been non-stop ever since. Now signed to RED MUSIC, the Los Angeles-based five-piece has racked up more than 13.5 million streams across all digital platforms and landed tours with Nothing But Thieves, The Maine, New Politics, The Hunna, DREAMERS, Night Riots and SWMRS, in addition to joining select dates of the Alt Nation Advanced Placement Tour. 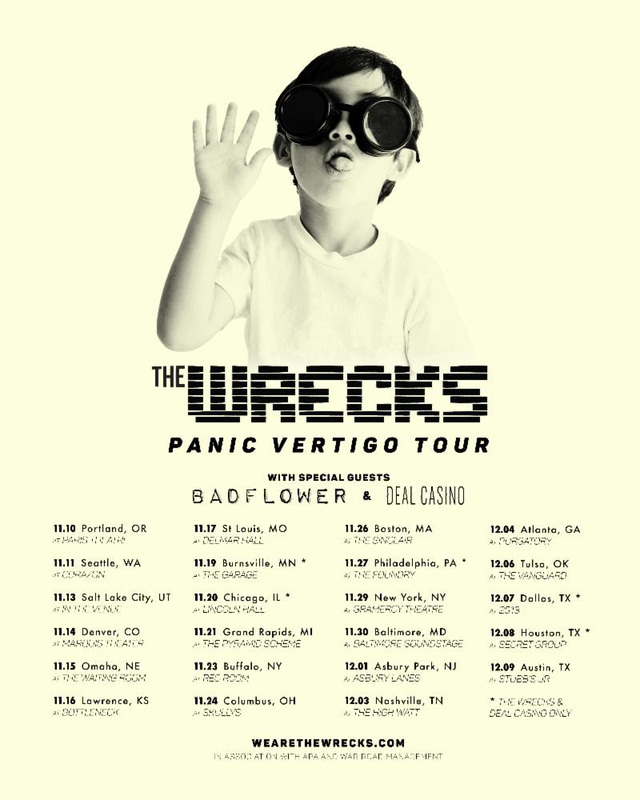 Their recent EP, Panic Vertigo, was released in February 2018 and spawned fan favorites “Way With Words” and “James Dean.”The latter was added to SiriusXM Hits 1 and alternative radio stations across the U.S. this summer.